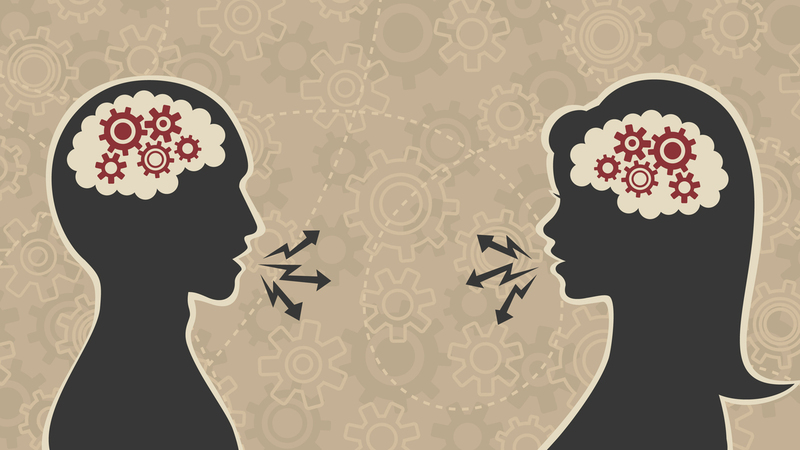 How Language Seems To Shape One's View Of The World : Shots - Health News Research suggests that speaking another language fluently changes what you pay attention to and how you remember events. But some say the idea that language can make you see and think differently is overblown. "It's on the left," he says. "No, it's southeast of here," she says. She says the difference lies in language. Boroditsky, an associate professor of cognitive science at the University of California, San Diego, says the Australian aboriginal language doesn't use words like left or right. It uses compass points, so they say things like "that girl to the east of you is my sister." Pavlenko points to research showing that if you're hungry, you'll pay more attention to food-related stimuli, and she says speaking another language fluently works the same way. One's native language could also affect memory, says Pavlenko. She points to novelist Vladimir Nabokov, who was fully trilingual in English, French and Russian. She says Nabokov wrote three memoirs: He published one in English, and when another publishing house asked for one in Russian, he accepted, thinking he would simply translate his first memoir. Boroditsky also studied the differences in what research subjects remembered when using English, which doesn't always note the intent of an action, and Spanish, which does. This can lead to differences in how people remember what they saw, potentially important in eyewitness testimony, she says. He calls this "the language hoax," which happens to be the title of his upcoming book. As an example, he refers to modern speakers of a Mayan language, who also use directions that roughly correspond to compass points, rather than left or right. Researchers asked people, most of whom only knew this language, to do tasks like memorizing how a ball moved through a maze, which would have been easier had they thought about it in terms of left and right, rather than compass points. The participants were just as good at these tasks and sometimes better, leading the experimenters to conclude they were not constrained by their language.